Prof. Ph.D Eng. Gheorghe Badea, Dean - Faculty of Geodesy (2016 to the present), Technical University of Civil Engineering Bucharest. 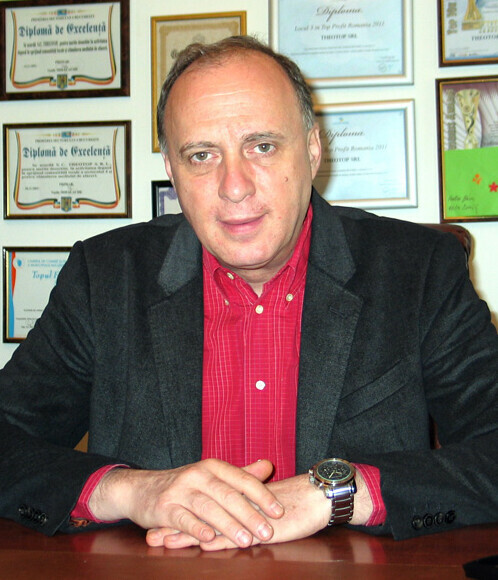 Prof. Badea graduated in 1989 from Faculty of Geodesy – Technical University of Civil Engineering Bucharest, Romania. In 2003 he received a Ph.D from the same University for his thesis "Some Results in the Study of Using Cadastral Data in Land Information Systems". Between 2012 and 2015 he was acting as Vicedean of Faculty of Geodesy. His main teaching and research activities at the Faculty of Geodesy is focused on Cadastral Systems in Urban Areas, Information Systems Specific to the Activity Fields, Methods of Real Estate Recording and GIS Applications. He is also collaborating with the Faculty of Planning - "Ion Mincu" University of Architecture and Urbanism and at the Faculty of Geography - University of Bucharest. At the same time, he has been involved in several research and educational projects as team member as well as project manager for EU financed Projects. During the time he was acting in the private sector and also he collaborated with ANCPI for development of technical normative. Dr. Chryssy Potsiou, graduated from the School for Rural & Surveying Engineering, National Technical University of Athens (NTUA) in 1982. During her graduate studies she has worked as teaching assistant at the NTUA in the fields of Photogrammetry, Cadastre, and Cartography. Since 1992, she has been employed as Special Research and Teaching Scientist at the Lab of Photogrammetry, Topography Division, School for Rural and Surveying Engineering, NTUA, at a permanent position. At the same time, she has been working as a consultant in several research projects (15 of them at the NTUA) in the domains of: aerial photography of archaeological sites, cadastre and Land Administration, architectural photogrammetry, detailed photogrammetric restitutions of complicated monuments, digital photogrammetric documentation of castles, cartography and urban planning, GIS. She was participating in organizing committees of many outstanding international scientific and professional events as chair or member (i.e. FIG Comm3, International Meeting of Commission VI of ISPRS, International Symposium of CIPA, etc. ), and she had an active participation to various meetings of FIG Com3, ISPRS and C.I.P.A., WPLA, EuroGeographics. Dr. Potsiou was member of Council of the Hellenic Society for Photogrammetry and RS, and served as Treasurer, for the period 1992-2003. 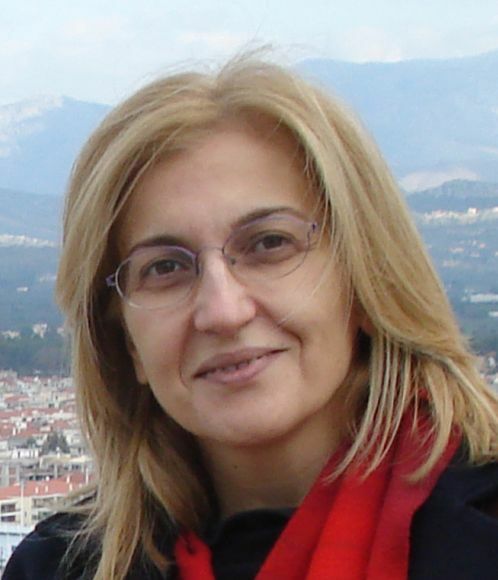 She has been working as management advisor for educational and technical issues at the KTIMATOLOGIO S.A., agency responsible for the implementation of the Hellenic Cadastre, 1998-end of 2001 Dr. Potsiou presented and published 45 papers in various meetings and journals, give lectures at various organizations. 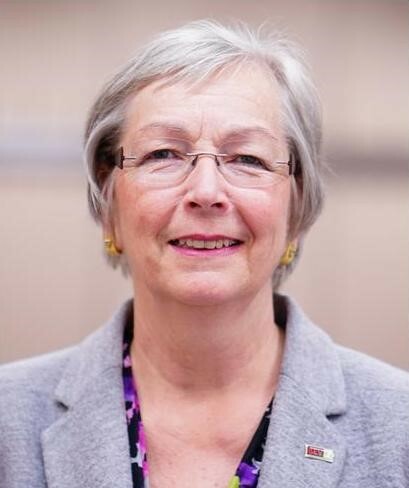 She has been Chair of FIG WG 3.3 "State of the Art of SDIs", 2003 – 2006, and FIG Comm 3 Chair, term 2007 – 2010. Mrs. Potsiou is President of FIG , term 2015 – 2018. 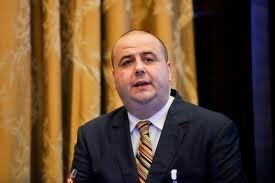 Mr. Mihai Busuioc, since January 2017 is General Secretary of the Romanian Government. Previously he was General Secretary, Ministry of Regional Development and Public Management from January 2016 to January 2017. 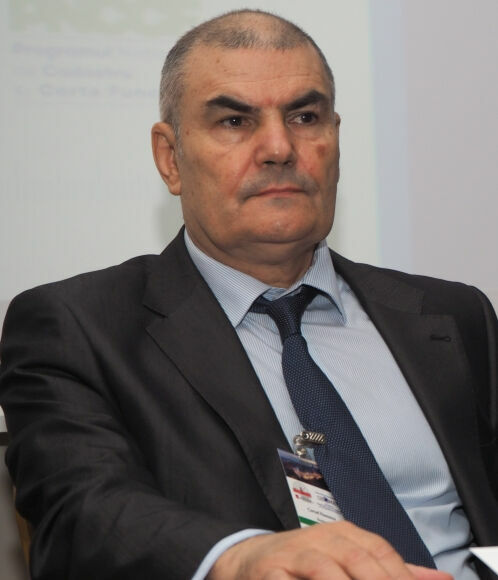 Between 2006 and 2012, Mr. Busuioc was General Director of National Agency for Cadastre and Land Registration (ANCPI) and has significantly contributed to the reform and modernization of the integrated system of cadastre and land registration in Romania. Mr. Radu Codrut Stefanescu, started to work for ANCPI in 2006 as Counselor within Operative Department. Further he was the Personal Counselor of the ANCPI General Director, from 2009 until 2013. In 2013 Mr. Stefanescu moved to Project Management Department within ANCPI, working as Director, for 1 year and Counselor, also for one year. Starting with April 2015 he was appointed as General Director of ANCPI. Mr. Stefanescu has a Ph.D. in Cadastre and Land registration Law from "Constantin Brancusi" University, Targu Jiu, and a BA in Financial Accounting and Public Management from Ecological University, Bucharest. Mr. Vasile Chiriac was graduated in 1976 as Dipl. Engineer at the High Defence Mapping School, Saint-Petersburg, Russia. After 10 years working as geodetic surveyor of Military Topographical Service he continues his studies at Defence Engineering Academy, Moscow, Russia. In 1992 he defined his doctoral thesis and come back to Moldova to create Military Topographical service of National Army, and was the Head of it from 1994 to 2004. He was Commander-Rector of Defence Academy “Alexandru cel Bun”. 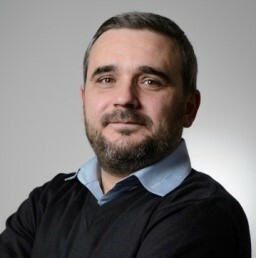 In 2006 he runs a research Department at the Institute of Geodesy, Engineering Research and Cadastre, and between 2010 and 2012he was General Director of Blom Ltd, Moldova Company. 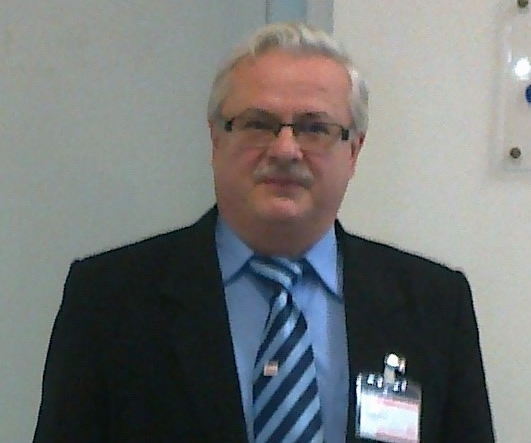 He was associate professor at the Faculty of Cadastre, Geodesy and Construction of Technical University of Moldova. Mr. Chiriac is the President of Moldavian Union of Surveyors, and General Secretary of CLGE (the Council of Geodetic European Surveyors). 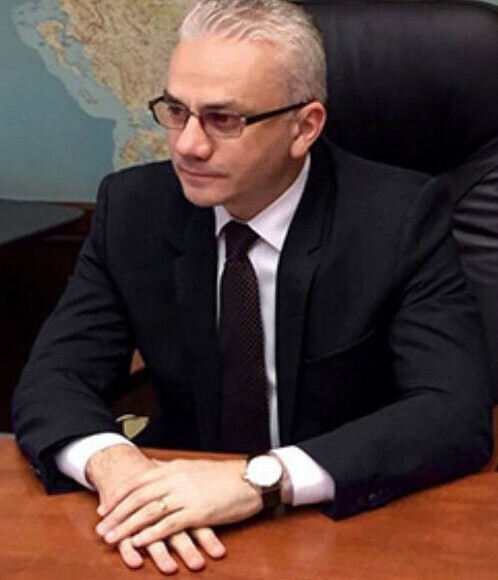 Mr. Valeriu Manolache graduated in 1984 from the Technical University of Civil Engineering, Bucharest, Romania as Diplomat Engineer in Geodesy and Remote Sensing and obtained his Ph.D. in 2008 from the Technical University of Civil Engineering, Bucharest,Romania. With an experience of over 30 years, he has worked until 1990 as project engineer at the “Institute of Studies and Design for Land Reclamations” of Bucharest and after that, as private surveyor, establishing in 1990 his own company, named Theotop. As specialist and owner of Theotop he participated at the realization of the first major projects of cadaster, photogrammetry and GIS in Romania, projects financed by the World Bank, E.U. and the Romanian Government. 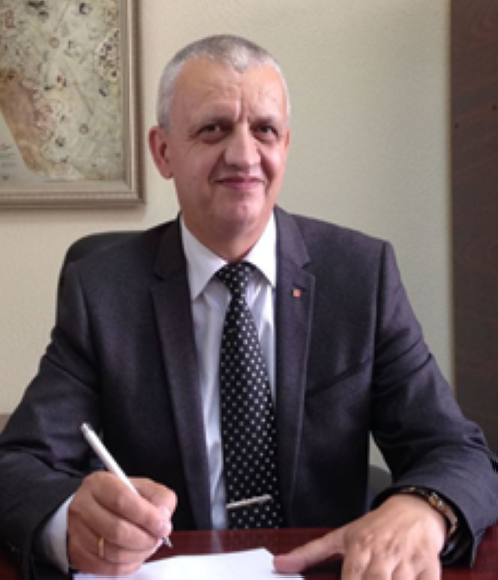 He was associated professor between 2008-2011 at the Faculty of Geodesy of the Technical University of Civil Engineering from Bucharest, General Secretary of Romanian Geodetic Union between 1998-2004 and Vice-president of Romanian Geodetic Union between 2000-2014, in present president of the Romanian Association of Private Surveyors since 2000, representative of the Romanian Liaison Group in CLGE (the Council of European Geodetic Surveyor and FIG (Fédération Internationale des Géomètres). Author of numerous publications in different scientific journals and at national and international professional conferences. 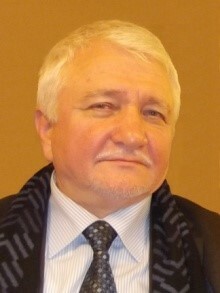 Mr. Cornel Paunescu is member of the Romanian Surveyors Union since 1990 and he was elected as President in 2014. He is Vice President of Association of private surveyors. Starting with 1991 Mr. Paunescu is professor PhD. Eng. at the Faculty of Geology and Geophysics, University of Bucharest. During this period he was the author of several courses of geodesy, topography and GNSS. 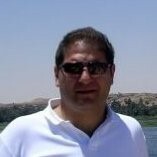 He is General Director at Cornel & Cornel Topoexim SRL since 1994. He was involved in developing the works of national interest with National Agency for Cadastre and Land registration, CNCFR S.A, National Airport Company S.A., OMV Petrom S.A., Hidroelectrica S.A.
Mr. Steven Nystrom has a BA from University of Florida in Economics and and MA in Real Estate Valuation and Urban Analysis. With 28 years of experience in real estate valuation, mass appraisal, land policy consulting and related macro economics, Mr. Nystrom is presently Principal at NewStream Companies and a Magistrate in Florida. Between 1995 and 1998 he was Senior Appraiser – Hanford/Healy Appraisal Co. & GMACCM. He is Certified General Appraiser, a member of the Appraisal Institute, and a delegate to FIG for NSPS. Mr. Steven Nystrom was a Working Representative to the United Nations Economic Commission for Europe, and was the Appraisal Institute Delegate to FIG. 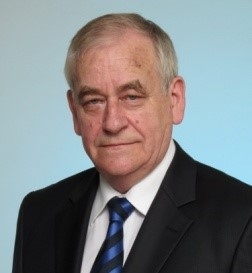 Between 2007 and 2014 he was Vice-president of FIG Commission 9 and starting in 2015 Mr. Nystrom became the Chairman of FIG Commission 9, term 2015 – 2018. Mr. George Damian holds an Engineering Diploma in Geodesy from Faculty of Geodesy – Technical University for Civil Engineering Bucharest, Romania. From the graduating year, 1984, to 1994 he worked for IGFCPT – Institute of Geodesy, Photogrammetry, Mapping and Land Organization. Since 1998 Mr. Damian is working for Top Geocart During his activity Mr. Damian had various specializations, such as: GPS, TPS & Software, Management and Marketing, Legal Expert for cadastre and topography. Geodetic Eng. Alina Popescu – Tehnical Director at Heveco SRL More than 11 years expertise in project management, land management, data management, land aquisition, approvals and constraction permits especially and not only for Oil&Gas Companies, GIS data acquisition consultant, managing topo-survey projects, urban planning and infrastructure and reale estate valuator. Mr. Silviu Stoica is the General Director for Ramboll South East Europe, the Romanian daughter company of the Ramboll Group, a Danish based leading engineering, design and consultancy company employing 13,000 experts with a strong presence in approximately 300 offices in 35 countries all over the world. Starting with 2007 Mr. Stoica is a PhD. Eng. in Civil Engineering at the Technical Constructions University, Bucharest. 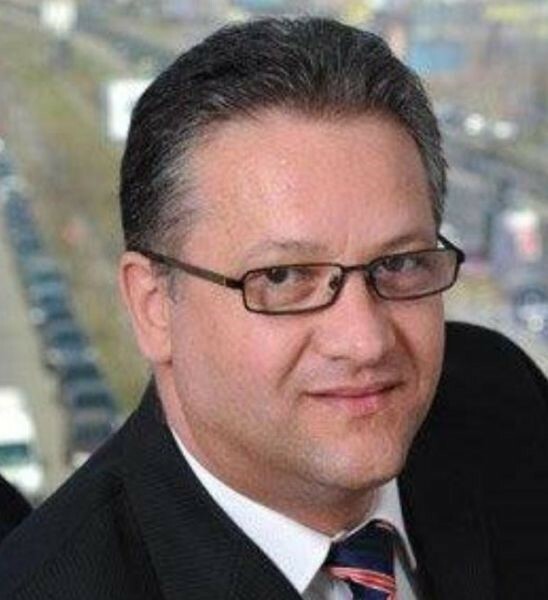 Being involved in both public and private sector, Mr. Stoica has extensive experience in coordination of the Sectoral Operational Program Environment with direct involvement at the level of the Ministry of Environment in the development of the projects portfolio and their coordination at national level. Mr. Stoica has in depth management expertise in the municipal water and wastewater services sector in Romania, waste management, water quality monitoring strategies, district heating, harmonization of environmental legislation with that of the European Union and transposition EU directives in national legislation. 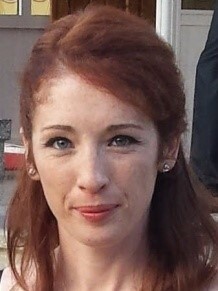 Ms. Ionela Adam graduated in 2006 as Diplomat Engineer in Geodesy from the Faculty of Geodesy, at the Technical University of Civil Engineering Bucharest, and in 2008 she graduated with Master’s Degree as Engineer from the Faculty of Geodesy - G.I.S. Section. Starting with 2005, she has set up and developed the Geodesy-GIS Department within Romair Consulting SRL, consolidating to date more than 50 specialists in Geodesy with the latest specialty equipment, company that obtained I Class ANCPI authorization in 2014. Within Romair Consulting SRL, starting from simple projects in the field dedicated to internal design departments; since 2009 the Department has had independent large-scale projects in the fields of Geodesy, Cadaster, Topography, Photogrammetry, LiDAR, GIS with internal application development, which were successfully implemented. Mr. Lucian Batrin graduated in 2014 from Politehnica University of Timisoara as Engineer in Geodesy. In 2016 he graduated from Politehnica University of Timisoara as Diplomat Engineer in Geodesy. 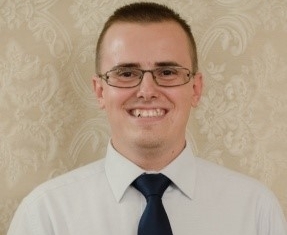 Since 2013 he works for GISCAD SRL, Trimble authorized distributor for geospatial solutions in Romania. He is specialized in surveying equipment, photogrammetry, mobile mapping and monitoring. Mr. Luca Pasquini is specialized in promoting and sales of TOPCON equipment and solutions in the lasts 7 years, being now responsible for distribution on some Central and Est European Countries, including ROMANIA. 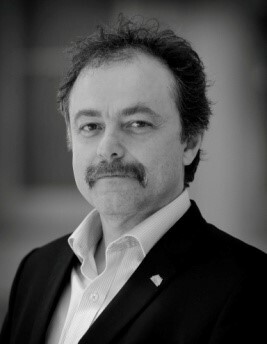 He graduated on 1999 at Politecnico di Milano as Civil Engineer and is coauthor of specific technical books. For Romania he is fully involved in developing of TOPCON solutions sales through the sole authorized distributor T.P.I. POSITIONING SOLUTIONS S.R.L. with headquarter in BRASOV city.